Maureen serves as our Client Concierge. She provides support to our team of advisors and plays a vital role in wrangling an ever-changing calendar and keeping the office running smoothly. Maureen is a member of the firm's business development team and plays an integral part in planning events like our art receptions, networking gatherings, and client appreciation events. 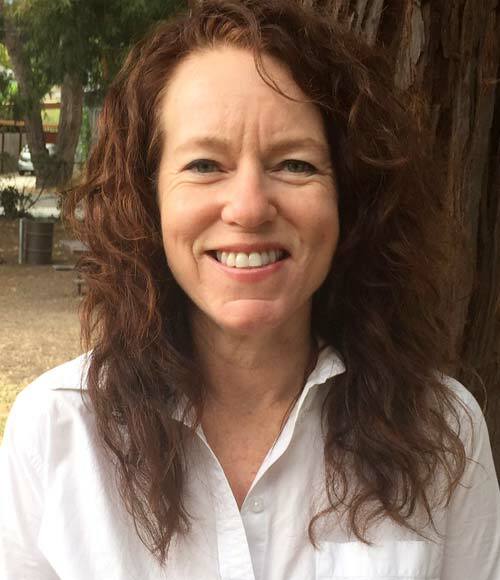 Before joining North Berkeley, Maureen worked in law and mediation in the areas of employment and family law. She is currently on the Parent Advisory Board of the San Francisco Girls Chorus where her daughter Delilah sings with the Premier Ensemble Group. An avid reader, Maureen has volunteered with the Bay Area Book Festival since its inception in 2015. Born and raised in Chicago, Maureen moved to San Francisco for college and fell in love with the Bay Area. She attended SF State and USF where she received her Masters in counseling psychology. She lives in North Berkeley with her husband Brad, teenaged daughters Delaney and Delilah, a dog and two cats. When not at North Berkeley Investments she can be found running through the Berkeley hills in training for the next half-marathon, catching a Giants game, or traveling up to Ashland, Oregon for the Shakespeare Festival. was launching my daughter to UC Santa Barbara. training for the inaugural Bay Bridge Half Marathon in May 2019.